Straightforward. We meet in person and size each other up. Honesty is of the utmost importance here as it’s your life we are dealing with. Everything you share is 100% confidential. We will discuss some personal history, usage, previous recovery attempts, et al. Not everyone is a right match for igotsober, but we will do our best to ensure you get the honest response from us that you deserve. Additional items of business include: Full explanation of the entire process, screening for medical clearance, dual diagnosis scenarios, detox requirements, scheduling of physical, blood work, EKG, etc. We’ll wrap up with any questions of any nature you may have to ensure you are fully informed on what could easily be the most important decision you’ve ever made. Included in the Program is one preliminary counseling session prior to the Naltrexone procedure. One of the benefits of a detox program is that your personal treatment plan can be customized to suit your specific situation. Every patient has different needs. For example, a drug detox program may be based on the amount and types of drugs you are currently using. This is an important point because opiate detoxification can be quite different from alcohol detoxification. Your personalized detox program may also be designed to include other factors such as relevant medical or psychological conditions. A variety of other factors can be involved in designing an individualized detox program, including your own motivation in terms of completing the program successfully. The first goal of a detox is to help you gently expel any toxins from your body. This will make it possible for you to move ahead into therapy…it is absolutely essential that you have a clean system to begin the journey toward sober living and addiction recovery. Keep in mind that the sooner you choose a detox facility, the better your opportunity to achieve long-term recovery will be. Whether you need a facility that caters towards opiate detoxification or some other type of substance detox, this is the first step. medication Naltrexone. These specifically formulated, completely biodegradable pellets are typically inserted just beneath the skin in the lower abdominal area. The implant allows for naltrexone to release itself into the bloodstream in a sustained dosing pattern over time and lasts, depending on individual metabolism rates, for several months. This allows the patient to reset their behavioral patterns and address behavioral issues without a constant clamoring from their body to use opioids or alcohol, thus dramatically increasing the overall likelihood of success. Most patients report little to no physical discomfort during the implant implementation procedure. The procedure is very quick, requiring only a local anesthetic to numb the area. It typically requires less than 30 minutes to perform the minimally invasive procedure. Even though the procedure itself takes only a few minutes, it can be truly life changing for the patient. Many patients report feeling completely free of cravings within hours, some for very first time in years or even decades. Many patients return to work or school the very next day after their implant procedure. Patients will then typically require 5 to 6 weeks of follow-up wellness checks or incision inspections/suture removal. Some patients, however, may require longer-term medical care as each case is different. The backbone of the program. BioCorRx® developed a 16-session counseling program identifying 35 key areas essential to early treatment in Substance Use Disorders. Delivered through comprehensive modules, these 35 key concepts include specific instructions which address often unidentified key components essential to behavioral change in Substance Use Disorders. Written by highly credentialed addiction experts with decades of combined experience, the program is specifically for use with those being treating with sustained released naltrexone. 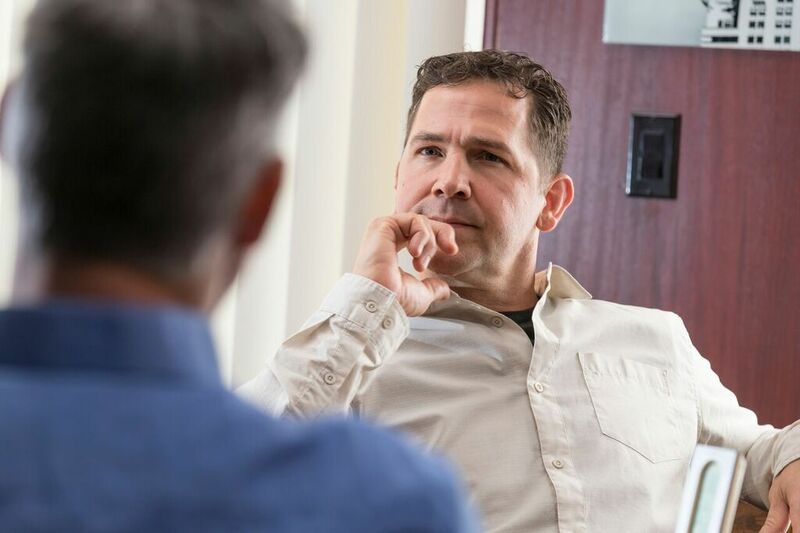 Credentialed addiction counselors meet certain criteria before they are trained and certified in the BioCorRx® Counseling Program. Participants generally complete their 16 counseling sessions within 90-180 days of receiving the implant. Additionally, BioCorRx® has expanded the support structure to include an additional 12 months of a peer-support system utilizing trained recovery specialists, bringing the total program care to 12 months and usually matched to the consumer based on age, gender, etc. Typically, soon after the counseling modules begin, the patient is ready to enter the Recovery Support Specialist (RSS) portion of the program. This support segment, when implemented, includes very convenient weekly or bi-monthly interaction via telephone for up to 12 months. In most cases, there is a period of overlap with counseling and RSS care occurring simultaneously. This combined approach results in a comprehensive recovery program designed to pro-actively support the recovering individual’s journey for around 12 months (assuming completion of aftercare program). Adding tremendous value, BioCorRx® has expanded the support structure to include 12 months of a peer-support system utilizing trained recovery specialists usually matched to the consumer based on age, gender, etc. Typically, soon after the counseling modules begin, the patient is ready to enter the Recovery Support Specialist (RSS) portion of the program. This support segment, when implemented, includes very convenient weekly or bi-monthly interaction via telephone for over 12 months. In most cases, there is a period of overlap with counseling and RSS care occurring simultaneously. This combined approach results in a comprehensive recovery program designed to pro-actively support the recovering individual’s journey for around 18 months (assuming completion of aftercare program). Anxiety and stress, even panic especially in early recovery, can be crippling and manifest in a variety of ways. You may very well find yourself in mentally uncharted waters and at a total loss of what to do, a frightening prospect to say the least. Know that we will have counselors available for you 24/7 who understand where you’re at and what you’re going through, and will be an incredibly calming agent when you need to just talk, overcome the compulsive urges or make sense of your thoughts when the bizarre situations arise. A strength-based support for persons with opioid addiction, alcohol and other drugs, codependency, and other co-occurring addictive behaviors. We spend high quality time helping clients work through potentially challenging events such as: going to work, attending business meetings, special events, family gatherings, etc. while providing encouragement, accountability, insight, and understanding through their own personal experiences of recovery. Individuals are held accountable for their actions, encouraged to improve their physical/mental performance, and learn what it takes to attain a high quality of life. The process of recovery is supported through relationships and social networks. This often involves family members who become the champions of their loved one’s recovery. They provide essential support to their family member’s journey of recovery and similarly experience the moments of positive healing as well as the difficult challenges. Families of people in recovery may experience adversities in their social, occupational, and financial lives, as well as in their overall quality of family life. These experiences can lead to increased family stress, guilt, shame, anger, fear, anxiety, loss, grief, and isolation. The concept of resilience in recovery is also vital for family members who need access to intentional supports that promote their health and well-being. The support of peers and friends is also crucial in engaging and supporting individuals in recovery. The Recovery Community is a resource for education, information, support and socialization for those in recovery and their family and friends. It is meant to authenticate that recovery from the disease of addiction is possible. Recovery Community Centers are the hubs for many forms of help. Peer Driven and Peer Delivered Support Services are fueled by the energy of volunteers who seek to share their experience and knowledge with others. 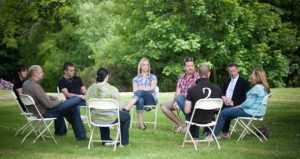 The support offered is not meant to replace treatment or 12 Step support…and on that note, we highly encourage joining and will assist you in locating the right Alcoholics Anonymous or Narcotics Anonymous home group. The 12-Step philosophy pioneered by Alcoholics Anonymous. The basic premise of this model is that people can help one another achieve and maintain abstinence from substances of abuse, but that healing cannot come about unless people with addictions surrender to a higher power. The 12-Step movement can be a force for good for many people, but some struggle with the religious basis of the program. Most addiction treatment programs offer alternatives to 12-Step methodology for those who are opposed to the idea of a higher power. One alternative among many to traditional 12-Step peer support groups, is SMART. SMART Recovery programs offer in-person meetings, online meetings, and an online chat room and message board for 24-hour support for all types of addictions. While AA and other 12-Step programs rely on turning control over to a higher power or spiritual being, SMART Recovery programs instead rely on self-empowerment and the enhancement of self-reliance. The SMART Recovery 4-Point Program provides methods and tools on four points, dealing with increasing motivation; controlling urges; managing thoughts, behaviors, and emotions; and living a life that is balanced. For much more detail on our site click: Peer Support. Relapse is something that happens before you ever pick up a drink or drug. We often say that relapse is a process, not an event. This means that there are cues to alert you to a relapse before it happens. If you pay attention to these cues, you can stop a relapse before it happens. You can keep a section of your relapse prevention plan to look at whether there are emotional, mental or physical signs that indicate you may be heading for a relapse. Writing out the consequences of relapse. After successful treatment for substance abuse, addicts are faced with new challenges when reintroduced to the world as sober individuals. All addicts face temptations in recovery, and some may feel lost in the quest for sobriety. Drug, as well as alcohol, relapse prevention is crucial in maintaining a sober lifestyle. There are many roads you can take to prevent relapse in recovery. Getting sober is the hardest part of recovery for most, but staying sober is made easier by taking certain measures. 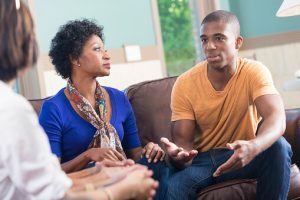 The effects of addiction aren’t limited to the addicted person, and the causes of substance abuse can be varied and complex – family issues can contribute to and perpetuate the illness of addiction. In fact, addiction is sometimes referred to as a “family disease.” Successful treatment, therefore, often incorporates the family of the person struggling with addiction. 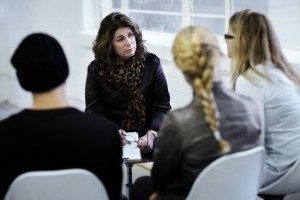 Historically, someone in recovery for addiction would receive treatment independently, often removed from their home, community, and family, but there has been a recent shift towards a more integrated approach to treatment that not only focuses on the individual but their family environment as well. Family therapy is an example of this kind of treatment. This approach has been shown to provide high benefits with low costs, and organizations including the National Institute on Drug Abuse and U.S. Department of Health and Human Services recommend family therapy be incorporated into any substance abuse treatment program. Many family members of people struggling with addiction feel they don’t need therapy because the addict is the one with the easily identifiable problem. There does not have to be a choice between family therapy or others. It’s also important to understand that therapy can provide support for family members but also boost their loved one’s health and chances of recovery as well. Since there is no set definition for “family,” family therapy might be appropriate even if you are not technically family. Significant others, friends, and coworkers may choose to attend this form of treatment. Studies show that treatment approaches that involve the family have better engagement, higher rates of success, and increased aftercare participation. Assisting the substance user to gain awareness of their needs and behaviors. Improving the mental and physical state of the entire family unit. Permitting family members to gain self-care interventions to improve their own well-being. Improving communication styles and relationship quality. Helping families understand and avoid enabling behaviors. Address codependent behavior that may be preventing recovery. Learning and understanding the systems in place that support and deter substance use. Preventing the substance use from spreading throughout the family or down through future generations. Family therapy will aim to accomplish the above by emphasizing the strengths of the complete family and diminishing the influence of substance use for all members.